Bankston Brokers has built our business and reputation on providing excellent service and we are growing because of testimonials and referrals from our clients. Liz, thank you again for assisting my family in another purchase. You make buying a new home easy breezy! Comments: Bankston Brokers We are so grateful that you chose us to help you with another home purchase. The greatest compliment we can receive is for a client to choose to continue to work with us. We contacted Greg and Liz on a Thursday afternoon, they came to our home on Friday morning and did a walk through. They knew an investor who might be interested in our home, they contacted him and we had a contract by Sunday night for exactly what we were asking. They were extremely professional, yet we were at ease with them. Never any pressure. The closing was quick and anxiety free. I would highly recommend them for any of your real estate needs. Both Liz and Greg were always available to us and helpful in every way representing us in the sale of our home. Liz was indispensable in assisting us find a rental home. They are both working with us now to find a new home to purchase. 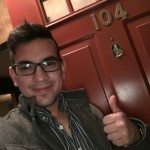 They are definitely “go to” agents and I would recommend them to anyone. They are knowledgeable and easy to work with. They absolutely have that whatever it takes attitude that we really appreciate. Liz was great, she listened to our needs and wants, helped us find a great house and then sell ours. If you want personalized service and industry expertise she’s your lady! What a great team! Greg and Liz provided us with unending support, expert knowledge, and sound advice with such a personal touch. 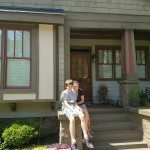 They made themselves available when we needed them and we never felt like it was a bad time to talk about our personal situation with the sale of our home and the buying of another. Liz came to our home on countless occasions to meet contractors and inspectors, stage our home, and even pre-pack pictures and collectibles while we were at work. Our house received multiple offers and we sold in 2 weeks for the price we wanted! Without reservations, we recommend Liz and Greg Bankston to you as we have to our personal friends! They made our experience painless, and I’m sure they’ll work hard for you too! I’ve purchased and sold multiple homes with Greg and Liz! They take you through the whole process professionally but with a manor that keeps you calm and focused on the end goal-buying or selling a home. They respond quickly and know market trends. They are also very familiar with the crime rates and activity in certain areas. They learn their client then match their efforts to the preferences of the buyer/and or Seller. Greg and Liz have been awesome to work with. Everything was extremely smooth, they walked me through the whole process always thinking of my best interest. I will definitely refer them to my friends and use them on the next house I buy. HIGHLY RECOMMEND THEM YOU WILL NOT BE DISAPPOINTED!! Greg and Liz were a pleasure to work with. I was relocating for work and had little knowledge of the Greater Atlanta area. The Bankston crew had all of the local information that you would not know without talking to someone readily available. The information included commute times, schools, area culture, and safety. These were all things gave my family piece of mind when purchasing our new home in an area we were not familiar. When working with them there was no time that I did not feel like I was their top priority. Overall, great experience, I would recommend this group to anyone buying or selling that wants accurate information and great pricing. The Bankson’s know the business and will provide their customers the best service. Incredible agents/brokers! Within 90 days we sold a home, purchased a new home, closed without issue and could not be happier. Liz Bankston understood what I wanted and made it happen. Greg and Liz were terrific. I worked primarily with Greg, initially as my property manager for a rental house, then ultimately as my sales agent when I chose to sell. Every step of the way Greg was great to work with. He took excellent care of my house and his advice and expertise was instrumental when it came time to sell. By listening to Greg, within 24 hours of listing I had, not only the offer that led to the sale, but it was my asking price! I highly recommend Greg and Liz. They offer fantastic service at a great value. Liz was amazing to work with! She was knowledgable and responsive. She helped us find exactly what we were looking for and helped us navigate through the negotiation process. We completed our search and closed in less than one week. Outstanding!!!! Greg and Liz are amazing! We are extremely happy with their work and they are awesome human beings! Greg helped us find the perfect home. We chose to work with him because he seemed very knowledgeable of our area of interest (Dunwoody) and he did not disappoint us at all. He knows everything about the school system, new developments in the area and most desirable neighborhoods and communities. He even provided recommendations on the best time to start looking for a house, so we could get the best available options. He always let us do our own judgement of the house before saying anything and he would provide specific pros and cons that helped us with the decision-making process. Greg is not afraid of saying “I don’t know” if he doesn’t have an immediate answer to any question, but within 24 hrs he provides the right answer and more… He immediately inspires trust and his work ethic is outstanding: always on time, available via phone or e-mail, extremely fast working, respectful, humble, extremely patient and very efficient. 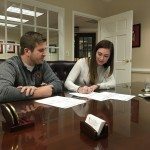 We ended up finding a home in another city (not Dunwoody) and Greg was amazing at providing us all of the required information to make a great decision. He did not let us move forward with the process until he was certain that we had found the perfect home for us. He helped us through the entire process, recommended a great inspector and even a handy man that could get some work done for us. We are not first time home buyers and we did and extensive research on agents before settling down with Greg. Hands down we would use Greg and Liz for our next home buying process and we strongly recommend working with them! Greg & Liz were a wonderful help to us as we relocated our family to Georgia! They were both knowledgeable, diligent, & savvy realtors! They took the time to make sure we were in a great location with great schools and really listened to understand our needs and concerns. If you are working with anyone else you are with the wrong agent!! Thanks to Greg & Liz for finding us a place we love to live!! Liz and Greg are the perfect team. We were a relocation and Greg took us out to show us our options in various locations that suited our personal needs. The key was that he allowed us to learn for ourselves which were the right areas for us to live and which were the wrong areas for us. He has patience. We used many realtors over the years and my wife and I talked about our different experiences. Currently we are selling our house in PA and too man times we say to each other that we wish we had Greg and Liz selling our house. They are upfront, straight forward people that don’t play games. They don’t just tell you what you want to hear. They are knowledgble and can answer your questions. More importantly, I remember asking a question and stumping Greg. He simply said he didn’t know and he would find out. I like that because when he called me the next day I had confidence in the answer. As individuals they each have strengths and weaknesses. What makes these two great is how they come together to compliment each other. The team as a whole is greater than the sum of its parts. For us, selling/buying a home is one of the biggest and most costly transactions we will ever be confronted with. It is unfortunate that we have been in this situation before with subpar realtors. We have felt that lack of guidance, the uncertainty of the realtor’s abilities and what do you do? You are already in too deep. We never felt this way with Greg and Liz. That said, if you like down to earth people, then you found your realtors. I chose Liz to sell my house after interviewing other agents. She agreed that I should ask more for my house than was recommended by others and I got close to list price after some negotiating– the house was only on the market for 2 weeks. Liz is my buyers agent also and has been very patient and resourceful in house hunting and negotiating. It was a pleasure to work with the Bankstons….. the best part is that you get two people working for you. Both Greg and Liz helped during the entire process and by having two, it was no problem contacting them with any questions/ concerns. Both are very knowledgeable regarding the homes they represent. Since they live in the area they are fully aware of the communities in north Atlanta which is a big plus. I highly recommend them for your Real Estate needs! Liz and Greg sold our Sandy Springs home faster than expected. With nothing on the market we liked at the time, Liz and Greg sent out cards, knocked on doors and made phone calls until they uncovered our dream home in Dunwoody’s Wyntercreek. It wasn’t on the market, but the Bankston Brokers went above and beyond to get us in the home we love! As a first time home buyer I needed extra attention with the home buying process and that is exactly what I received from Bankston Reality. Both Liz and Greg were exceptional when explaining the bidding process, contract negotiations, and the closing procedures. Anytime I had questions they were there to help and extremely quick to respond. They helped me find and buy the home of my dreams. So, when I am ready to buy or sell my next home Bankston Reality will be the first call I make. The Bankstons are terrific. Greg & Liz were pros at helping us understand the nuances of renting our home while away on an extended assignment. They did a fantastic job of taking care when situations arised and always seemed to have someone in their rolodex that was able and available to make a repair, clean up a mess, etc. They are well-networked in the real estate market in general which will be an asset if we rent and/or buy/sell in the future. I highly recommend working with Greg & Liz! Greg and Liz helped us sell our house and find a new home. They were professional, detailed, informative and made the process go as smoothly as possible. Their guidance really helped prepare our home for best sale and they were fun! Even though I know Atlanta really well, it was a long process to find the home in the area that suited me. I have Greg Bankston to thank for locating a house that I initially thought was out of my range, but he worked with the selling agent to understand the seller’s motives and work to reach a price that fit my budget and was agreeable to the sellers. Both he and Liz were a great help throughout the process, educating me on the whole home-buying process and taking care of the many little details involved. I have tremendous trust in them and wouldn’t hesitate to work with them for all of my real estate needs! I am a first time homebuyer, and Greg and Liz did an excellent job helping me find my perfect home in a short amount of time. Their expertise and knowledge were very helpful and I had a great home buying experience. My wife and I decided several years ago that it was time to relocate to North Georgia. Not only did Greg make selling our previous home quick and easy, he helped us transition to another county while assisting us in the purchase of a custom built home. Greg’s experience was highlighted as, over the course of 8 months, Greg met with our builder on many occasions on our behalf to discuss specific building choices, changes that were made during the building process, and contract negotiations that arose with these changes. Although these building issues were not always easily resolved, Greg was always professional and eager to help in any way. Greg is a genuinely nice guy! He is easy to work with, and it is obvious that he enjoys the real estate profession as his passion shows through his efforts. I highly recommend this team to serve you in your future real estate needs. I have had the pleasure of selling my home and also purchasing a brand new home through Bankston Brokers, both in Brookhaven. Liz and Greg were extremely professional and knew exactly what it took to get both deals done (selling and buying). They are extremely knowledgeable in the Atlanta real estate market and I would highly recommend you speak to them if you are in the market to buy or sell. We recently had the wonderful experience working with Bankston Brokers to search for a new home based on the changing needs of our family. Bankston Brokers listened to our “wish list” and made sure we got the best value for the purchase of our beautiful new home in the neighborhood / school district we hoped for. As industry veterans in the Atlanta market, they are extremely well connected and their recommendations for various contractors was greatly appreciated for our renovation projects. Regardless of whether you are buying or selling, I would highly recommend Greg and Liz w/ Bankston Brokers. We could not have asked for better Realtors to guide us through the process. Thank You! My wife and I had decided back in early 2011 that it was time to sell our home and find a larger one, as our family had grown. We met with Greg and Liz after a friend suggested them and quickly decided that we were very comfortable with their approach. They helped so much every step of the way and were able to sell our home in a much quicker time frame than we had anticipated. At that time, we had not yet found the right home for us and they absolutely went the extra mile and found a perfect rental scenario for our family that allowed us to take a breath and really focus on finding the right long-term home, without stress. We were able to take our time and they rewarded us by finding a home that we will enjoy for many, many years, a few months later. They did a great job, across the board! Selling or buying homes can be downright stressful and they were always very patient with our questions..and we always felt that they had our best interests first and foremost in their minds. Long story short, I would 100% recommend them to anyone in this area…they know the area so well, they work very hard and they are a pleasure to deal with. Greg and Liz were a blessing for my wife and I. We were 1st time home buyers at the time, so we weren’t really sure where to start. To complicate matters, we were likely in the market for a short sale situation. But Greg and Liz were on top of that! They also had plenty of homes (that fit our criteria) for us to look at. Furthermore, Greg is very conscientious about pointing out any potential problem area of the property that 1st time buyers like us would miss. Greg and Liz did the impossible for our family; they were able to sell our Condo in a bad market within a month of listing it. There were other units for sale in our complex which had been listed for a while; nothing had sold in over a year so we were skeptical about ever selling our place. We really needed more room but didn’t want the burden or unreliability of using it as a rental; we came to find out that our HOA wouldn’t have let us rent it out because our complex was already at the maximum rental allowance noted in the bylaws. It almost felt like we would have to let it foreclose in order to get rid of it. We were finally free to look for a house to accommodate our growing family. Liz was patient with us as we had several different locations we wanted to look within and spent her Saturdays with us, away from her 4 boys. She never pressured us to go above our budget and was reasonably quick to get back to us when we wanted a new search run for houses. When we found the house we loved, she worked with her banker and the seller to get us in the home within the month. After the closing, she even gave us a gift basket to congratulate us on our new home. As we drove away, my husband said “She was a professional all the way to the end.” Added bonus, they know several contractors from previous flips they have done so they continue to be a resource for us ? Selling a home can be a very stressful experience, however, Liz and Greg kept us at ease throughout the process. Their extensive knowledge of the market aided us in pricing the home above what we expected. Thanks to their efforts we received multiple offers in only 2 days. They successfully brought the deal to a close at a price we were very pleased with. I would highly recommend the Bankston’s. They exceeded our expectations. Greg and Liz worked on my recent home purchase and they were the most helpful and professional team I have ever worked with. This was a long process with me looking at dozens of homes but Greg was patient and walked me through the entire process. He provided me with insight and experience and when it came time to put in offers, he worked hard to make the deal happen. Due to some unforeseen circumstances, the first sale fell through at the last minute. Liz and Greg however handled the situation extremely calmly and professionally, and continued to provide excellent advice as to what was needed to be done to the house to maximize its sale value. When we put the house back on the market they found a buyer very quickly and the house was sold at a good price. I wouldn’t hesitate in using them again or recommending them to others. I’ve had the pleasure of knowing Greg and Liz Bankston for the past 10 years and consider them industry veterans who are extremely personable. As a sales professional myself, it is refreshing to work with such an experienced brokerage that truly understands the Atlanta market. Bankston Brokers sold our home in Brookhaven this past spring in a matter of weeks; negotiating top dollar for the property. Thanks to Greg and Liz, we just recently closed on our dream home in Peachtree Corners! If you’re looking to buy, sell or relocate in the Atlanta area, I highly recommend Bankston Brokers. I have used Greg & Liz for several home purchases and I only wish every buying experience was as pleasurable and fulfilling. They helped find the right property, in the right area, at the right price and within my timeframe. I have worked with other agents in the past and none went as well as the ones working with Greg & Liz. I would highly recommend them for anyone in the Atlanta area looking for a home.